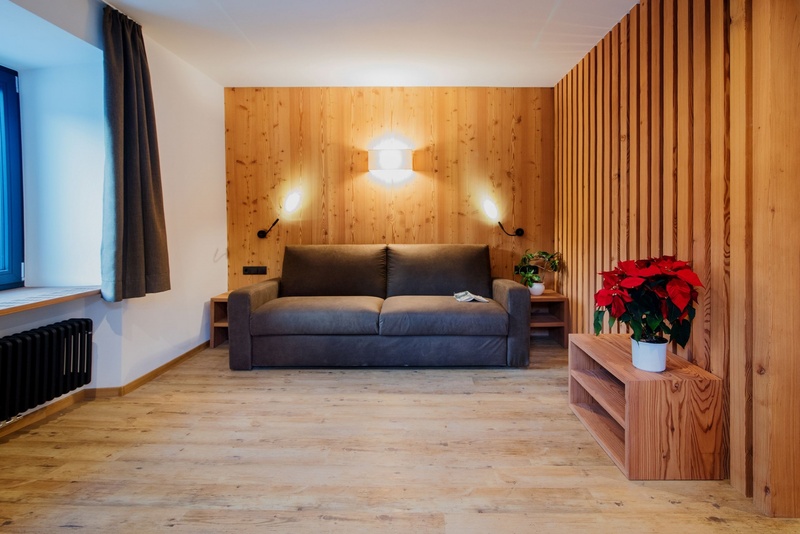 We look forward to welcome you in winter 2018/19 in one of our 5 new spacious, luminous and cozy apartments. 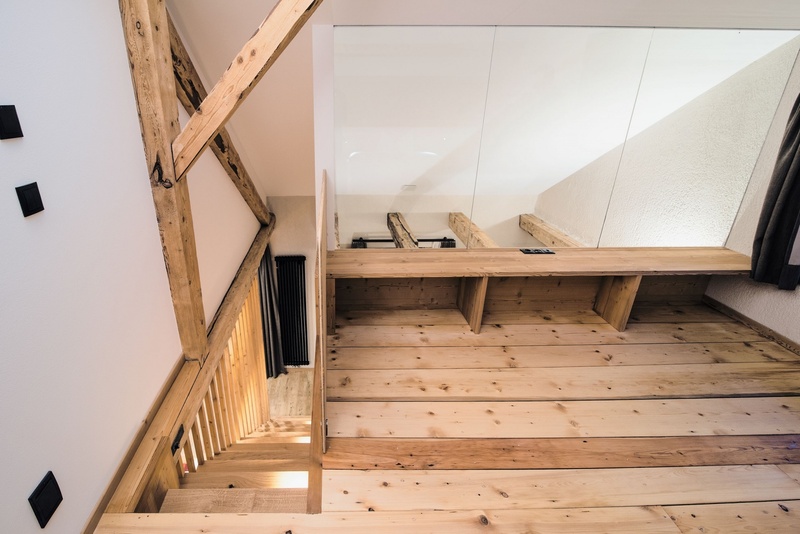 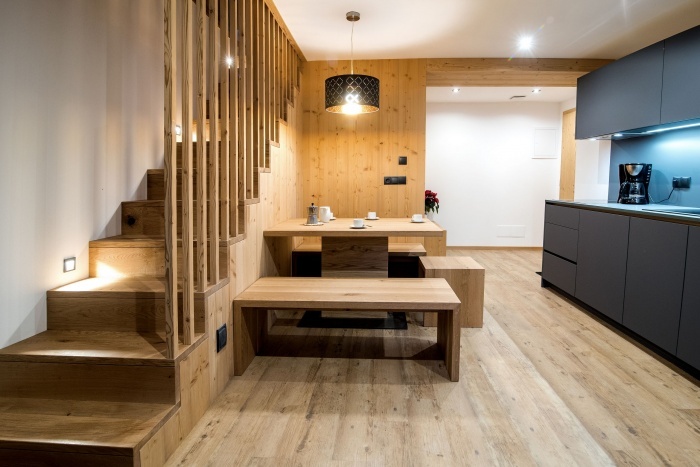 TRADITION: this fir wood rustic apartment is characterized by the bright and light-filled veranda. 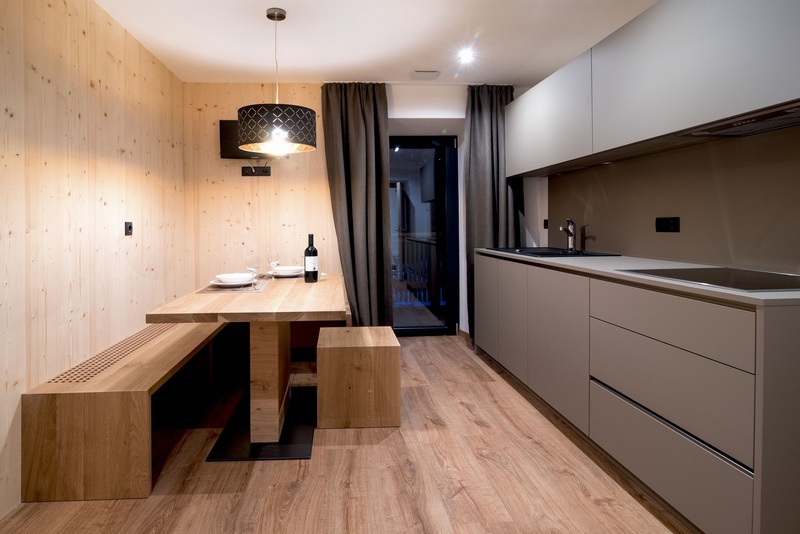 The high-quality, modern-homey furnishings give your holiday the special touch to spend unforgettable days in the heart of the DOLOMITES! 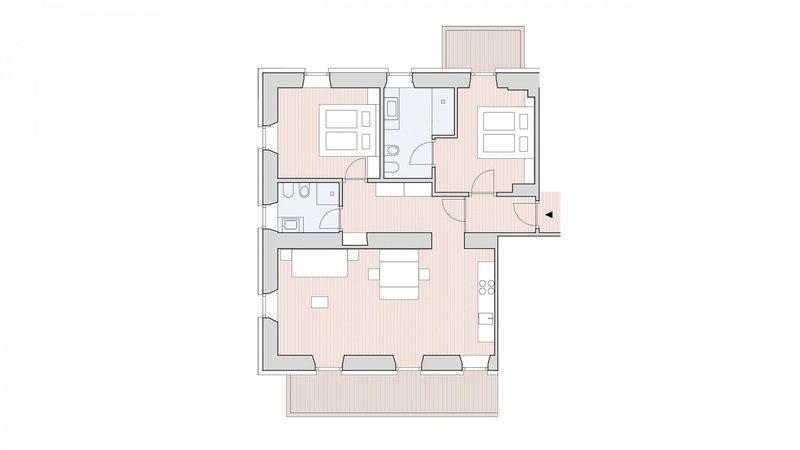 SCENERY: Cozy and comfortable apartment, characterized by the bright, lightflooded veranda. 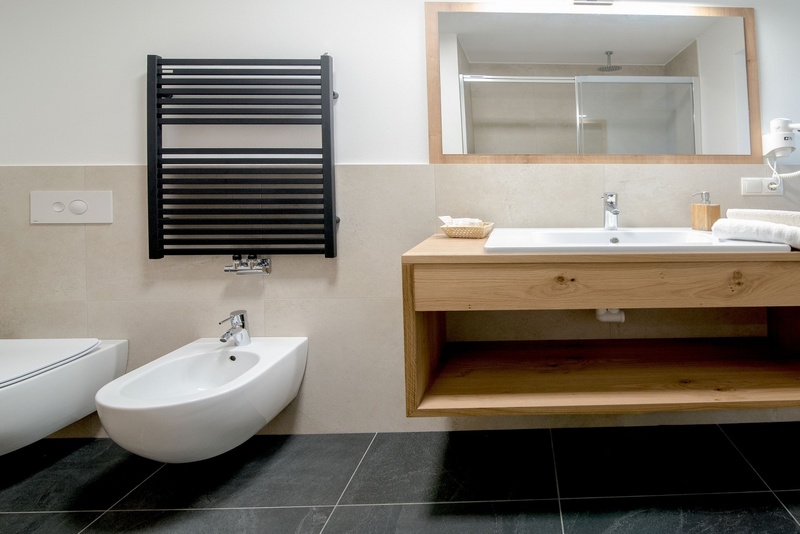 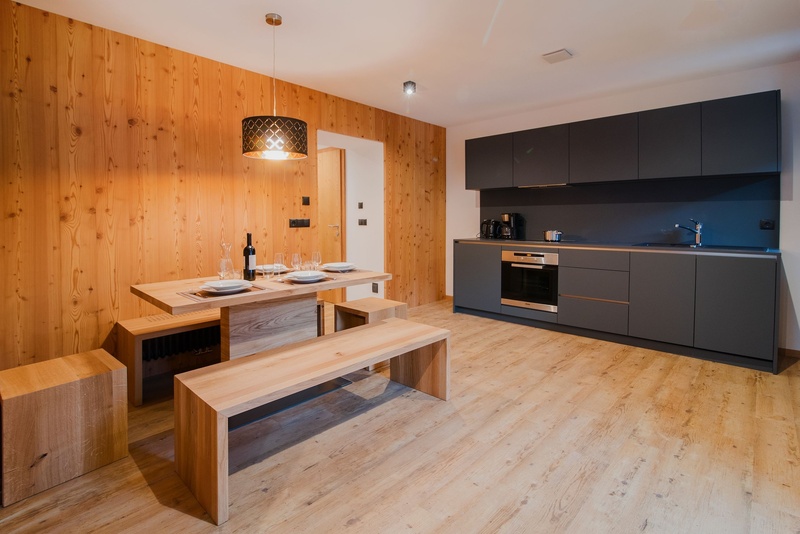 For couples as well as for families, this apartment is the perfect solution for a relaxing holiday. 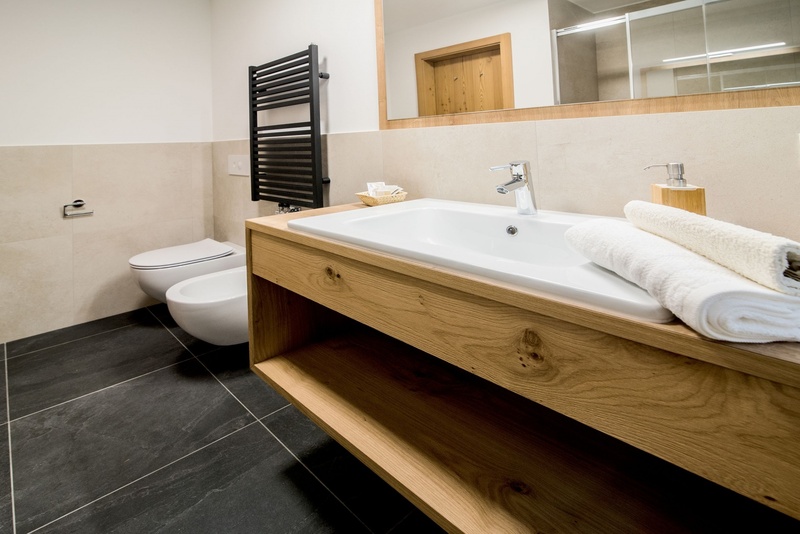 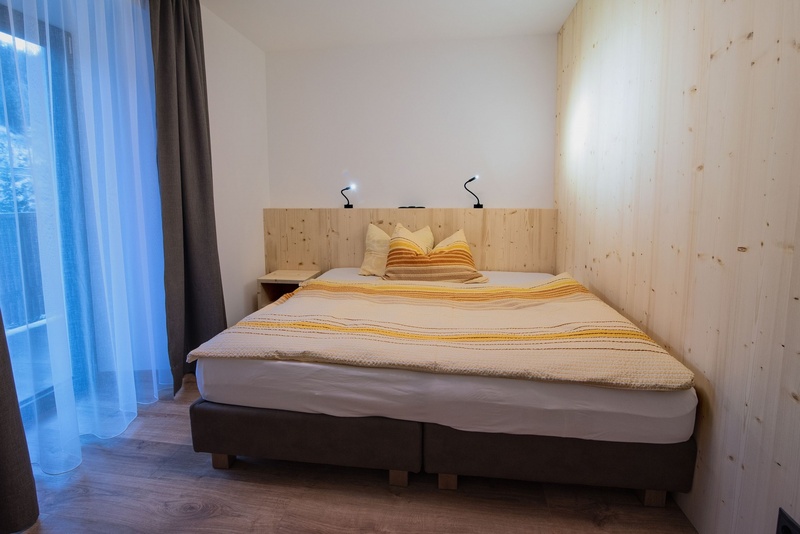 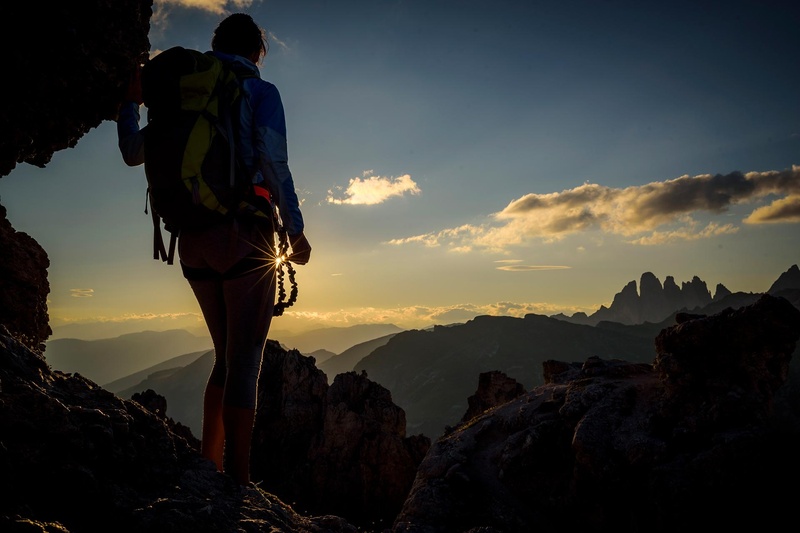 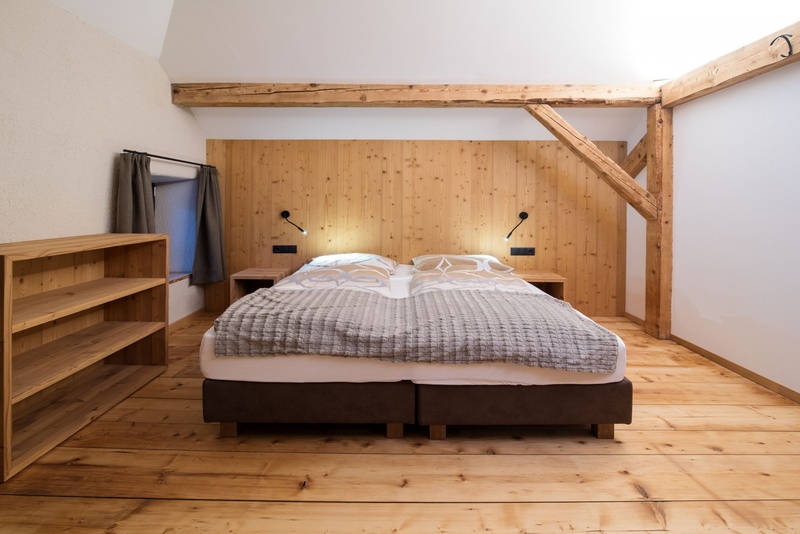 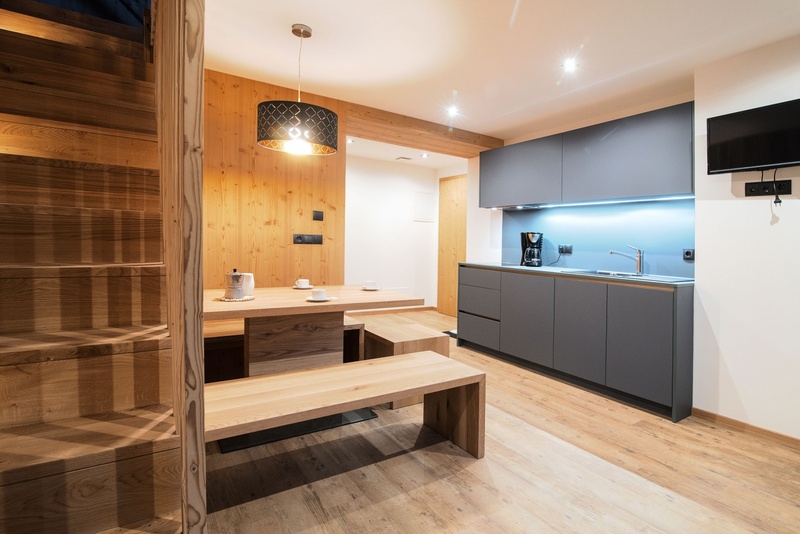 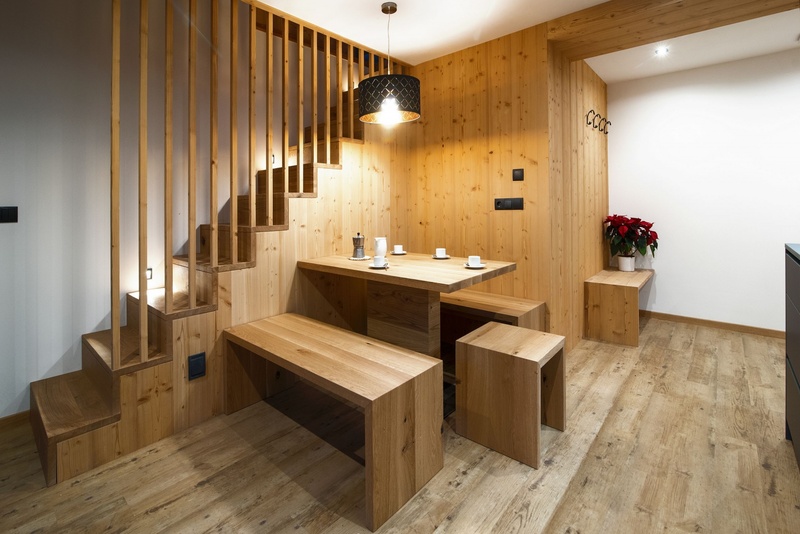 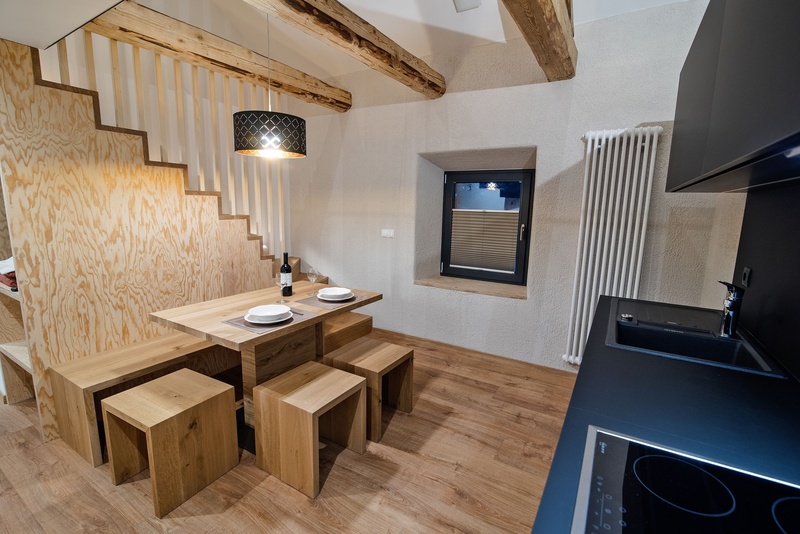 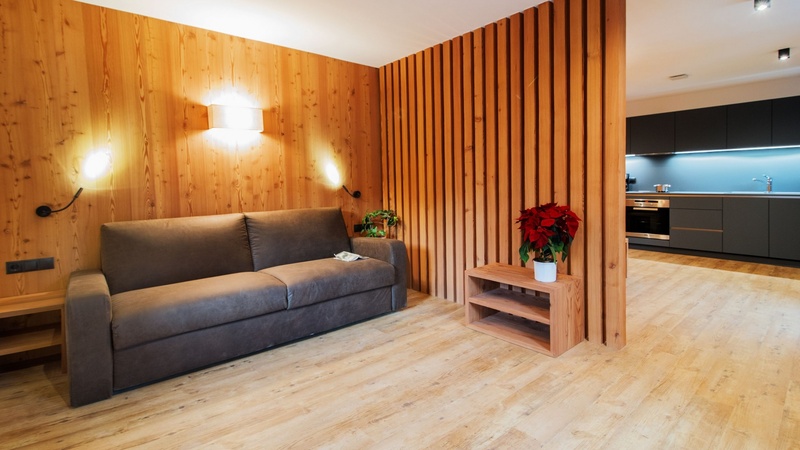 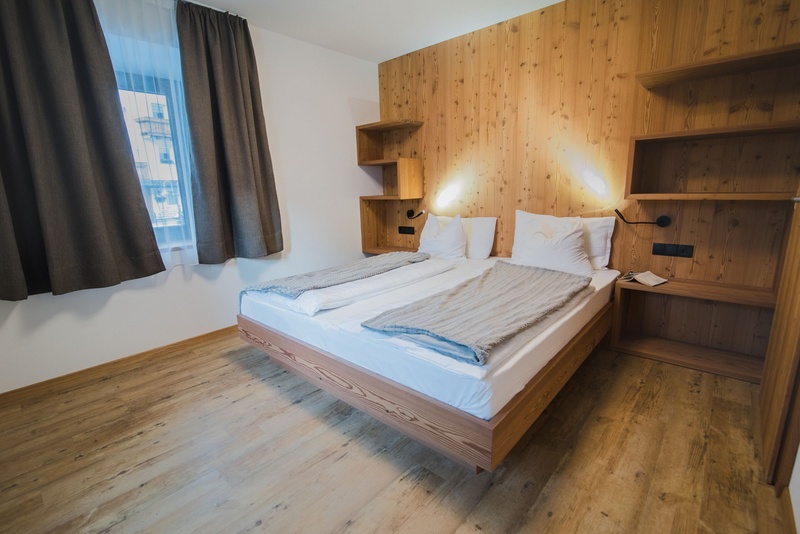 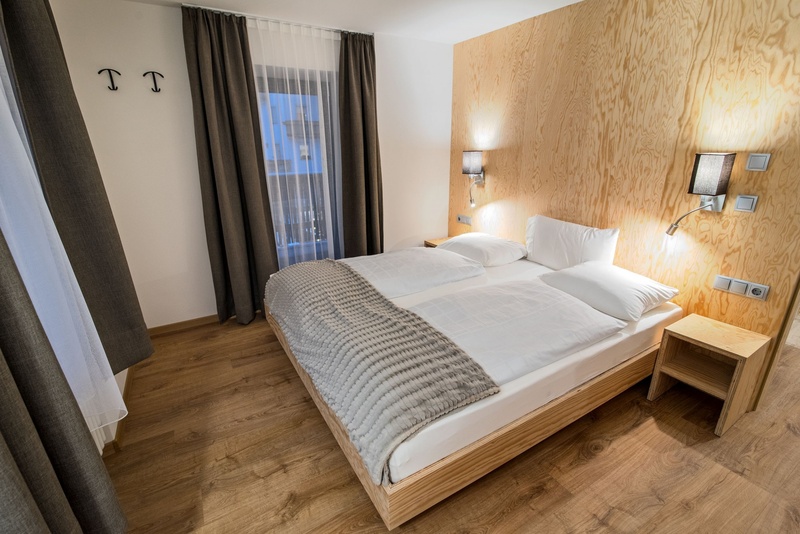 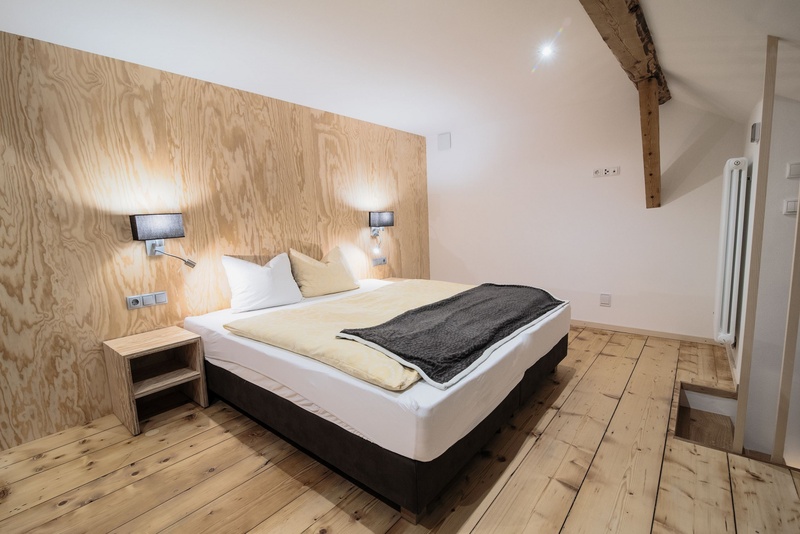 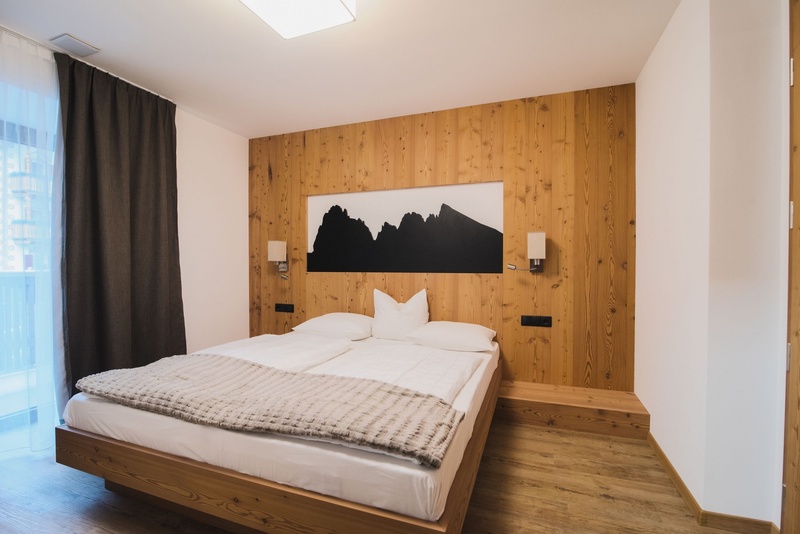 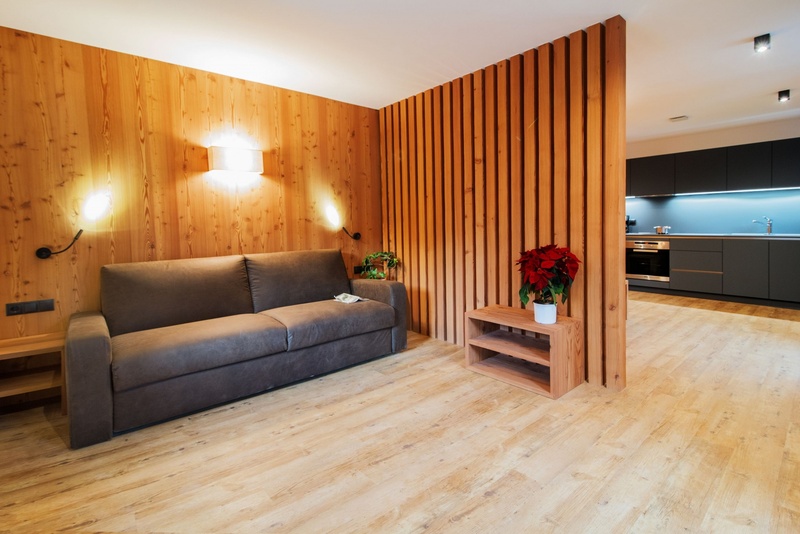 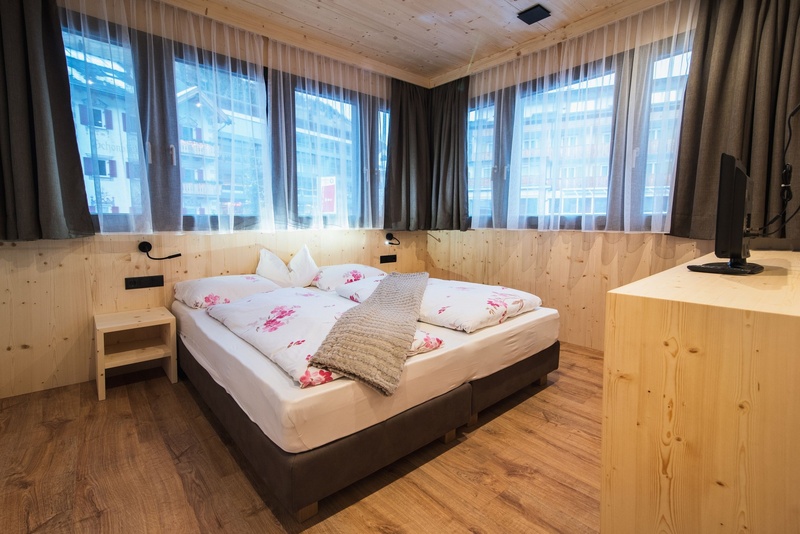 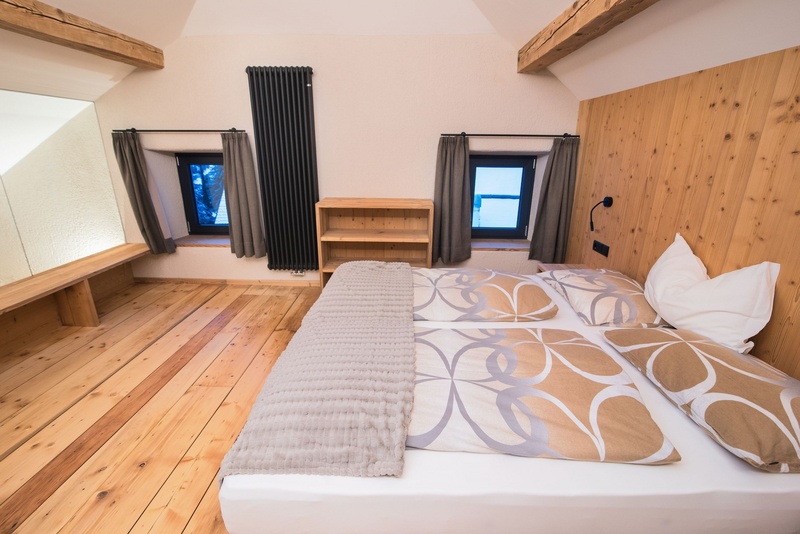 These as well as the high-quality, modern-homey furnishings give your holiday the special touch to spend unforgettable days in the heart of DOLOMITES! 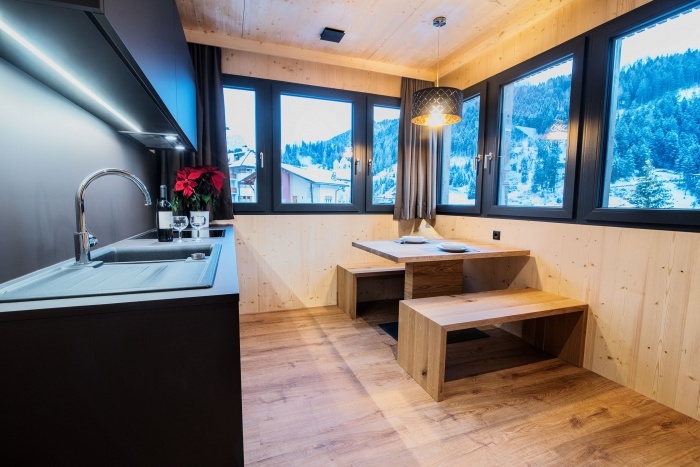 SPECIAL: pleasurable atmosphere in this alpine-style apartment which excels for its unique line. 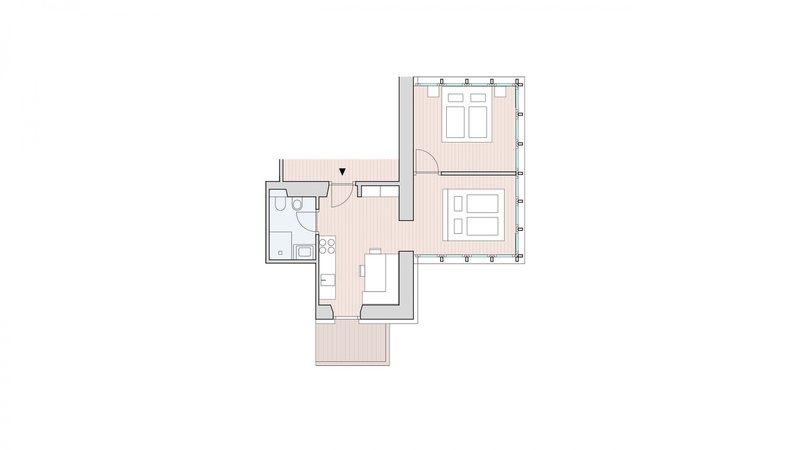 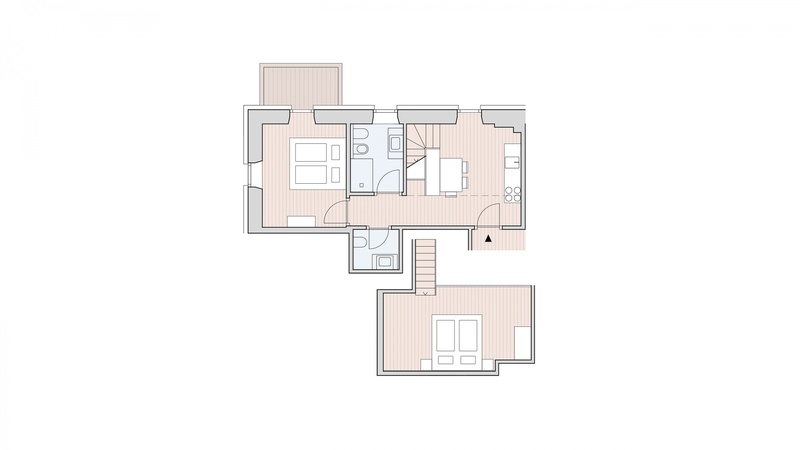 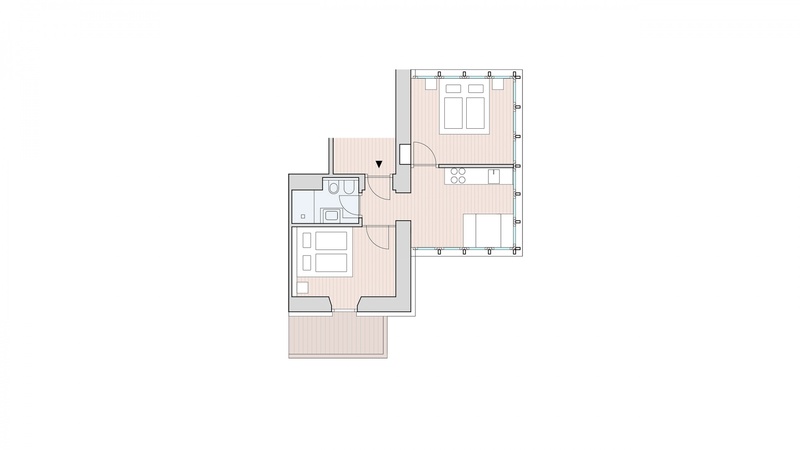 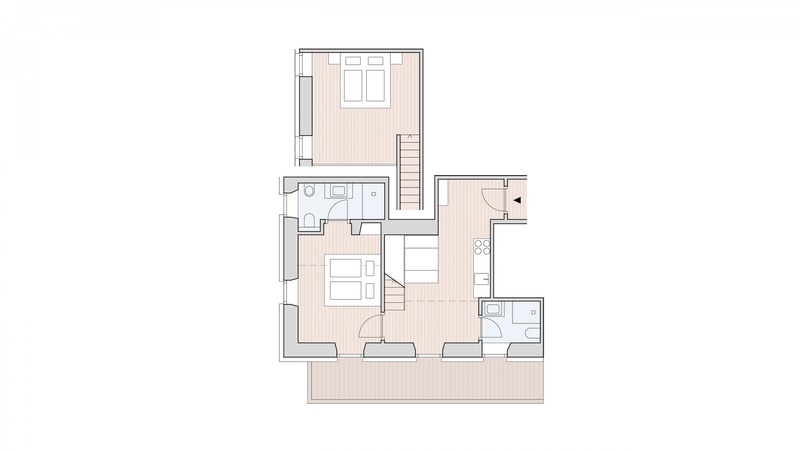 The subdivision on two floors, with a homy loft. 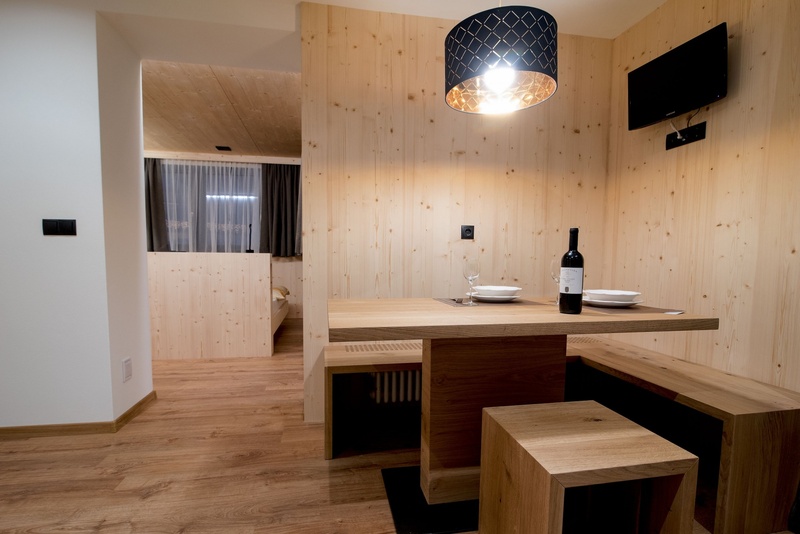 The elegant and modern furniture will make your stay unforgettable! 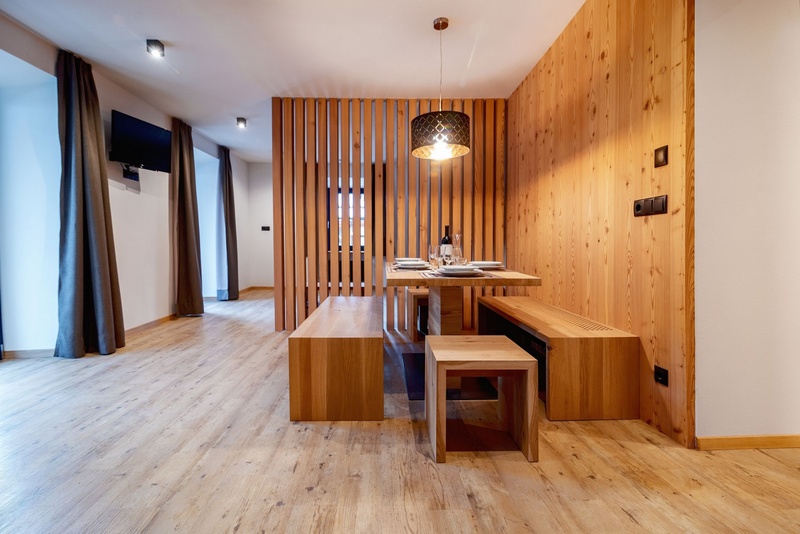 THE HEART of our Villa Genziana: spacious and comfortable apartment, for your well-being, just to feel good! 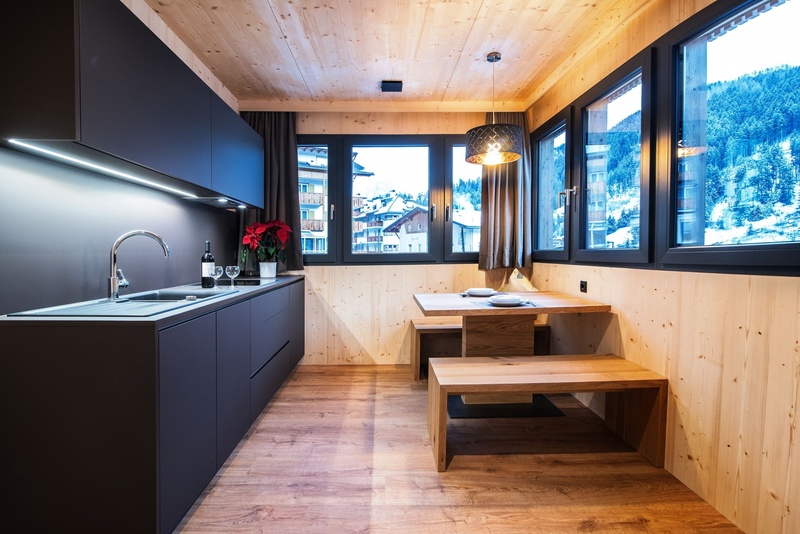 This with local wood paneled apartment leaves you to linger: open lounge with kitchenette and seat-corner, two beautiful balconies with stunning view, two bathrooms with shower. You will feel like at home!